Some of you may recall a post I wrote last autumn whilst living in Seville, where I celebrated the unique beauty that cities gain at night. This week I came to appreciate cities at the opposite time of the day; when the world is just starting to wake from its slumber, rather than preparing for it. 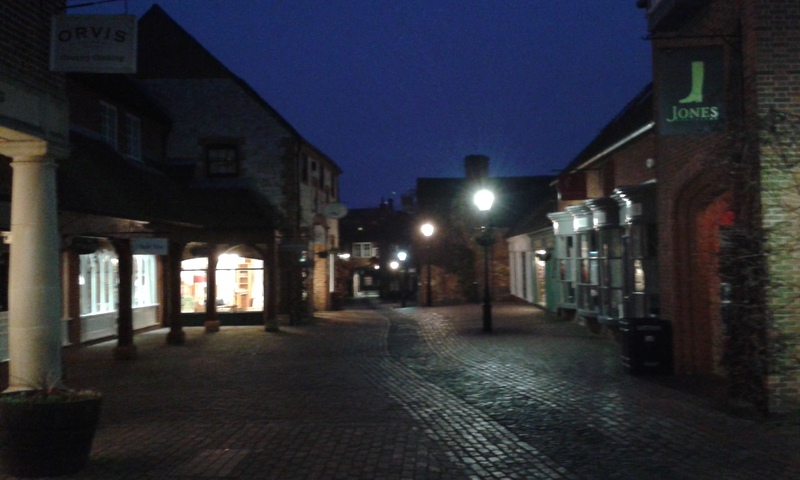 Technically, my case study for this week is not a large city like Seville but rather a quirky market town in Surrey. Farnham is a place that I have only come to appreciate relatively recently, as I ashamed to say that its cobbled streets and red brick buildings seemed to make little impression on me during my childhood. Six or more years since I last pottered the streets of Farnham; I have finally come to admire the gorgeous old architecture, the secret alleys of shops and shops and bars, and – without wanting to sound too much like a local travel guide – the perfect ratio of independent boutiques to larger chains. Hitching a ride with my younger brother as he made his way to work meant I arrived with a little bit of time to truly admire the town in the early morning light, before heading to my marketing job for the day. Only a select few cafés had yet opened their doors, providing the early risers with the caffeinated fuel for the day ahead. The lack of traffic allowed me to hear the echo of my shoes off the cobbles in beautiful detail, while the empty streets meant I could really take in the visual splendour of the old buildings. Early mornings are often a struggle for many of us; but by finding little things to celebrate, from a near empty town or city to not having to queue for a cup of tea at our favourite café, perhaps even the most dawn phobic among us can learn to love our mornings.